Prominent & Leading Manufacturer from Faridabad, we offer adhesive coating machine, bopp adhesive coating machine, bopp tape coating machine, bopp adhesive tape coating machine, industrial coating machine and silicone coating machine. We are an acclaimed name engaged in offering our precious clients a superior quality range of BOPP Adhesive Coating Machine. 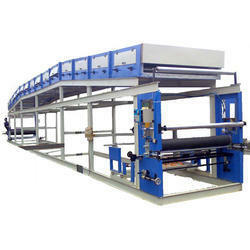 Being one of the foremost organizations, we have been able to provide our precious clients a qualitative range of BOPP Tape Coating Machine. 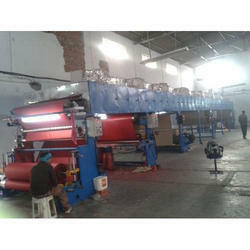 We provide the quality approved range of BOPP Adhesive Tape Coating Machine to our valuable clients. Features Energy efficient Superior functionality Mechanical & Pneumatic Brake at unwind Manual & Pneumatic loading of parent roll Multi-step temperature control for different zones Single station & Double station Rewind Friction clutch & Auto - tension control for Rewind Lamination station Web guide system. 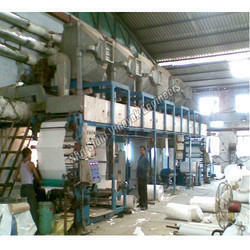 We are one of the specialized Manufacturers of Industrial Coating Machine. 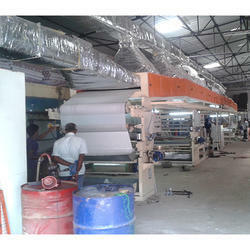 Our Industrial Coating Machine is a multipurpose Coating & Dry Laminating Machine in which both Silicone Coating & Gumming/Adhesive Coating on release paper can be done at a time. 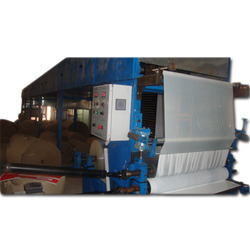 With this state of the art Industrial Coating Machine, firstly the Silicon Coating is done on the Glassine, C.C.K.S.C.K or Poly Coated Paper to convert them into release paper and offer to form into rolls, again loading the rolls on the unwind. And, then Gumming/Adhesive Coating and Drying & Finally Laminating is done with the base paper i.e. Clay Coated/Chromo, Maplitho, Fluorescent Paper etc. 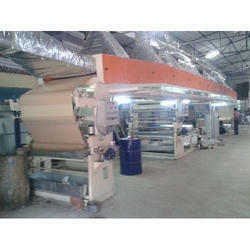 to produce laminated stock for self-adhesive. During these operations, certain rolls are changed with the drive. We are ranked among the renowned organizations that are engaged in offering the best quality range of Silicone Coating Machine.